I have decided to separate my weekly giveaways from my quilt along tutorial posts. Because the tutorials are so long, the giveaway announcements were getting buried. Plus, the quilt along instructions will be on my blog forever, so including the giveaway in each weekly quilt along post would not make sense once it’s finished. Click here for Step 5.5 of Hugs ‘n Kisses, posted earlier this week. 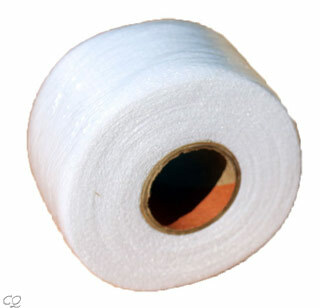 For this week’s prize, one lucky quilt along participant will win a roll of fusible batting tape and a pack of Superior topstitch needles. Batting tape helps you use up all those leftover batting scraps with no mess! 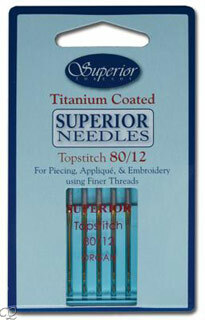 The needles are my favorites for both piecing and quilting. Entering is easy – just post a picture of your quilt along progress on Christa’s Quilt Along flickr group. It doesn’t matter how far along you are, or even which quilt along you are doing. I just want to see your quilting awesomeness and I’m sure others do, too! Comments on this post will be open through Wednesday, April 3rd at 6 PM Eastern Time, (3 PM Pacific). A winner will be selected at that time and their name will be posted the next day on Thursday, along with next week’s giveaway prize announcement. I will also email the winner directly. Week 5.1 Giveaway Winner – Anne C. won a ChristaQuilts.com Gift Certificate. Week 5.2 Giveaway Winner – Diana W. won a Charm Pack of her choice. Week 5.3 Giveaway Winner – Rose B. won a pair of Snip Eze Comfort Scissors. Week 5.4 Giveaway Winners – Lesley C. and Clair S. each won a ChristaQuilts.com gift certificate. Thank you all – we have a winner. Check back tomorrow for the announcement and the next weekly giveaway! I added a pic to flickr! I’m having a great time! Thanks for doing this. Whoo hoo! Be sure add your comment to my giveaway post going up tomorrow so you can be entered to win the weekly prize! I am glad you are enjoying the quilt along. I’m already planning the next one and am having “sew” much fun! 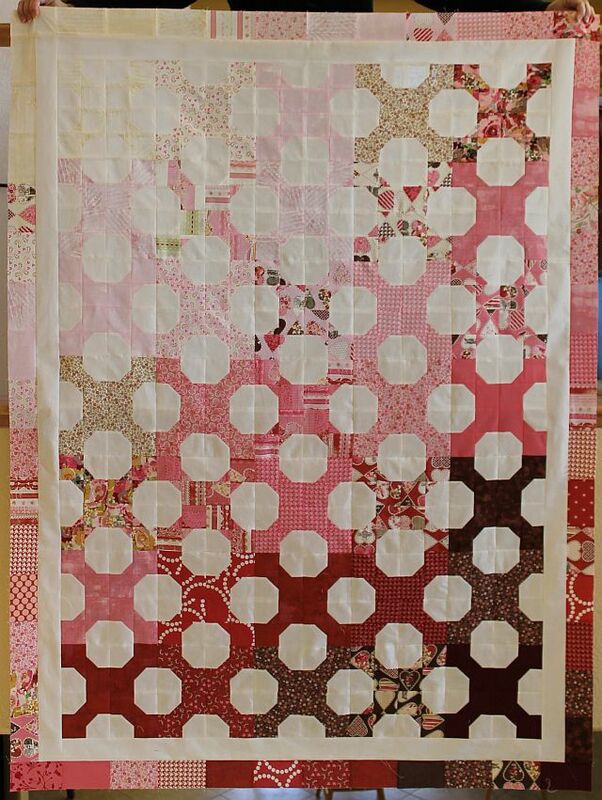 What a neat quilt, sounds like a fun QAL! Thanks for sharing. I am a new comer to your blog, but I am certainly going to make your hugs and kisses quilt! ‘Purple Kisses’ progress posted! Thank you Christa! HELLO! ADDED A WIP QUILT FOR CHARITY! California Quilter. Uploaded a picture of where I am. I have uploaded some pictures to your Flickr-group!